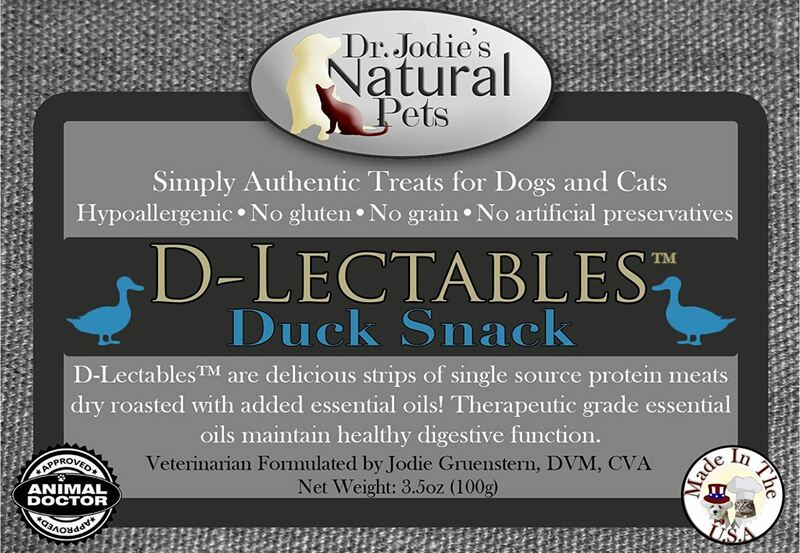 Crispy, dry roasted, single protein duck snacks for dogs and cats! No starch, no gluten, no preservatives! 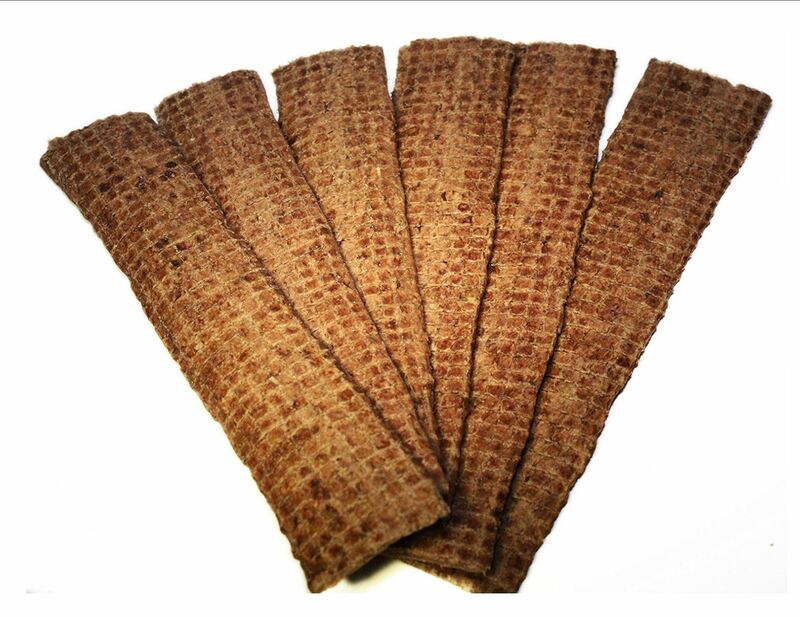 D-lectables™ are delicious strips of single source protein meats dry roasted with added essential oils! 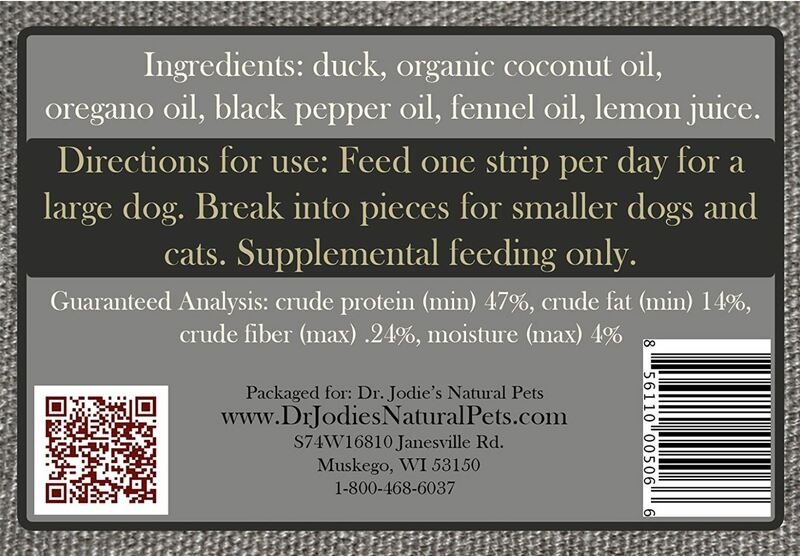 • Great snack for dogs or cats! • Added therapeutic grade essential oils of oregano, black pepper, and fennel have been shown to maintain healthy digestive function. 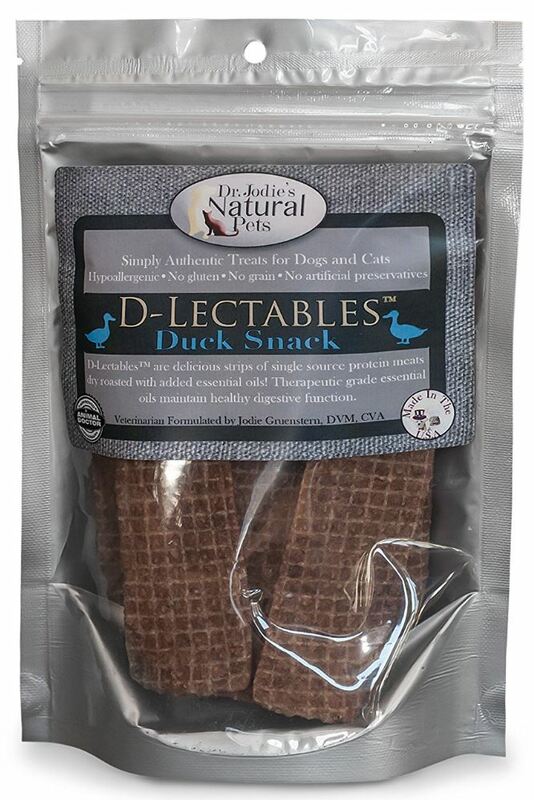 D-Lectables™ are a great option for supplemental feeding or as a training reward, treat, or to crumble on top of your pet’s food to stimulate appetite! Cat’s love these too!